There is a simple logic behind writing well. It evolves from two premises that I, well, evolved. Premise 1: Art is something that moves you. If it doesn’t move you, personally it doesn’t mean Art to you. Premise 2: A piece of art is a piece of communication. When it comes to writing, if we write a story that moves readers, moves them to tears, laughter or any emotional high, we have made it as writers. Does your writing move readers, excluding your mom, friends, or the brats next door? Then your writing is good. You are a writer! That is the write logic. You are my reader and you are the person most important to me now. With an attitude like that, both can’t help getting some benefit from my writing, can we? That creates a sense of responsibility in me, and takes away carelessness, pomposity, and any other deterrent to good writing. Style, structure and content are secondary. Responsible writing is the key, according to me.It is always a piece of communication for me. Gajapati Kulapati,a picture book published by Tulika, is meant to be read by kindergarten readers and read out to pre-kindergarten types. How would I tell a story to a lady or gent of that age? and he caught a big cold. Do I want to make them laugh? Yes! Do I want to make them happy? Yes! Do I want to make them cry? No! Though I did that once, inadvertently, at a reading at a preschool. I got carried away by the narration and yelled, “AAAAAAAACHOOOOO!” to match the size of my pachyderm’s sneeze. It gave a little fragile-looking lady quite a start, and she got carried away by a teacher in tears. Fragile kid in tears, not teacher, who was busily giving me septic looks. Anyway, that’s my voice and vocabulary when I communicate with little ones. Simple words, simple sentences, clear statements. And you see, it’s not a dumbing down. Rhythm, pace and clarity are smarted up. You don’t have to write in verse, but it’s great if you can manage a rhythm. It helps since your stories are, more likely than not, going to be read aloud. And of course, in a picture book, you don’t have to spell everything out. Give the illustrator a chance to say things too. Witchsnare, by Puffin, and Ajit the Archer, published on Kindleare for older kids. Sujit tore out a sheet of paper from his Maths note and folded it into a quick rocket. He nudged Rahul. With a magenta sketch pen he wrote, “A gift from Sujit Chowdhury,” on one side of the rocket.“Watch!” he whispered. Ajita was chattering away to her friends with her back turned to the bullies. Sujit let fly the missile.Without turning around, Ajita plucked the rocket from midair with her left hand.“Imposs!” said Rahul, mouth wide open like a garage door. Sujit goggled like a gold fish.“Now watch, you bogglies!” said Ajita, as she stood up and sent the rocket flying out of the classroom.“Why the boom did she…?” said Sujit. Maths Miss entered the room with a massive frown on her face and the rocket in her fashionable topknot. Snatching the missile off her hair, she glared at it. Then…“Sujit!” she screamed. You can draw from a bigger vocabulary, write longer and sometimes complex sentences, or include cultural references. You would do the same thing if you were speaking to a 10-year-old. Rocky was an honest soul who provided the best golden prawns and the most Goan fish curry for a fair price, not that I had any of those for breakfast. God forbid! I placed my order for cucumber sandwiches, and not being able to decide on the watermelon juice or the orange juice, asked for both. That’s what I usually do when I am foxed. ‘Have both!’ is the family motto, carried to its logical extreme by one of my grand-uncles, who was bigamous. By instinct and design, I talk differently to different people. I guess most of us do that. The same goes for my writing. The better to communicate with, my dear. Those days we had those preachy-aunty or kind-uncle type of voices, and stories with morals. Now we have no morals. No, not in the way you think. I am talking children’s books here! Today we treat children with more respect. And we have to lure them away from Chota Bheem and Temple Run. That makes our jobs that much tougher. Responsible communication is the key to finding the write voice, methinks. In this section, we invite writers we’ve had the pleasure of interacting with to talk about the writing process. Ashok Rajagopalan believes that anybody can write , if they really want to. We admire how he goes all out to help aspiring writers. 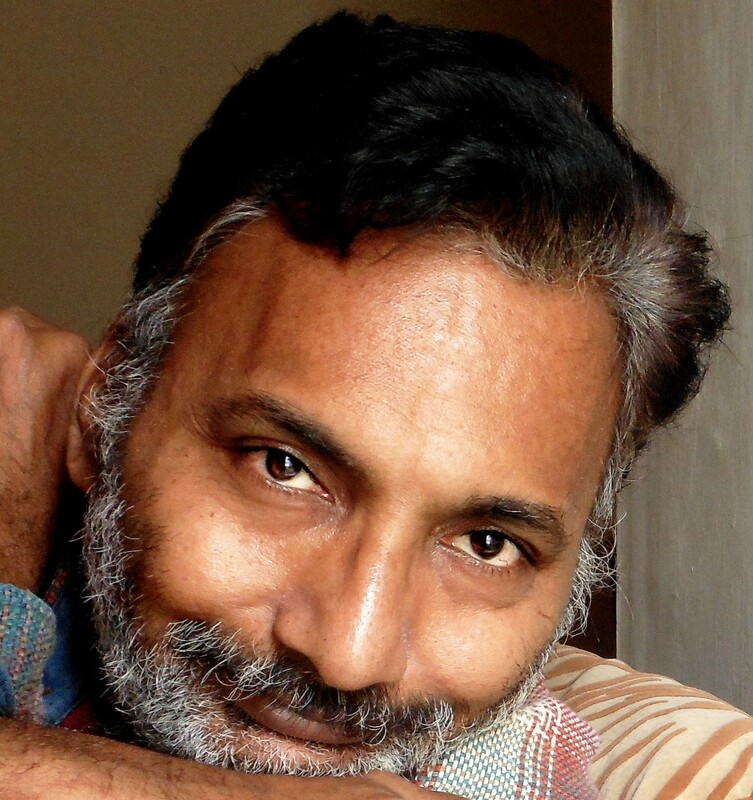 Ashok Rajagopalan, is a writer and an artist for over 500 children’s books. He blogs under the pseudonym Kenny Wordsmith. Rajagopalan received a mechanical engineering diploma and worked as a marketing executive, but found that he disliked the experience. Since then, Rajagopalan has worked as a graphic designer, freelance cartoonist, and has contributed to the children’s magazines Impulse Hoot and Impulse Toot. He first began illustrating children’s stories with a piece in the 1989 magazine Junior Quest. This entry was posted in Guest Post, Writing Craft and tagged Ashok Rajagopalan Children's books, Bangalore Writers Workshop, Inspiration, Lemon Salt Soda, Writing Craft. Bookmark the permalink. I am an aspiring children’s writer and found the points you told excellent! The essential point about art is that it should move you. Absolutely!